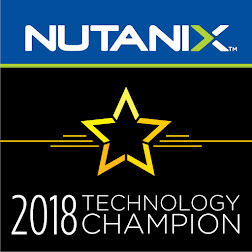 Nutanix is providing Community Edition as a cloud-based, on-demand service Using Amazon Web Services (AWS) or Google Cloud Platform through Ravello Systems. Typical rates are about $1 USD per hour. Note: Ravello free trial Account is limited to 8GB of RAM. Enter a Name and Agree to the terms of service, then click Add. You can notice the Nutanix Community Edition Blueprint is listed under Library > Blueprints. Click on the Blueprint, Canvas Page will be displayed. Click on the Nutanix CE 2015.11.17 and Click Create Application. On the Create Application Windows, add the name and description, then click Create. Select the Nutanix CE 2015.11.17 VM, Review the System Settings in the right panel, then ClickPublish. Note: Nutanix recommend the use of Amazon and ‘Performance Optimized’ tier. The VM is starting and You can see an hourglass while the application is being published. It takes about 10 minutes to start. The hourglass, then becomes a Play button to indicate CE has started. Wait another 10 minutes to allow the cluster resources to start. Click on the Console to view the status of the AHV & CVM. Type “virsh list” to view that status of the CVM. Back again to the canvas page to get the public IP address for the Prism, in the lower right Summary, select NIC 1/1 from the External Access list. Note: “Oops – server error” message means the cluster has not started yet. Wait a few minutes more and refresh the browser page. Logon using “admin” account with password “admin”. The Prism web console is prompts for new admin user password. Create one, then you can log in with your new password. After logging in, you are prompted for your Nutanix Next credentials. After completing login and validation, the Prism web console Home dashboard is displayed.